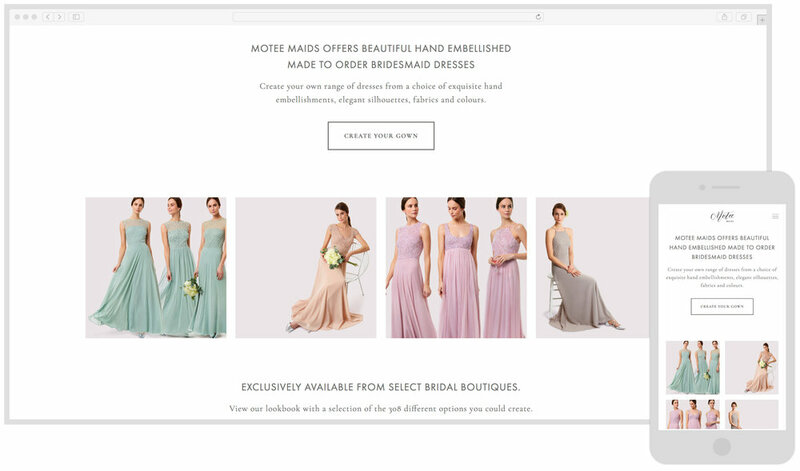 As a new business, Motee Maids were working to a tight budget and tight deadline but had very clear goals - Isoblue were commissioned to design a new website to present the beautiful dress designs and communicate the semi-bespoke services. Isoblue customised a Squarespace template to deliver a solution, on time and within budget. Customised, made to order bridesmaid dresses, launched 2017. "It was great to work with Sue at Isoblue. She was able to get my brand online with a beautiful website in record quick time and spent a lot of time and effort to ensure it was exactly what I wanted. Sue has that elusive skill of being great at design and technical know how and will ensure your website is not only good looking but functions and performs exactly as it should with very up to date know how.